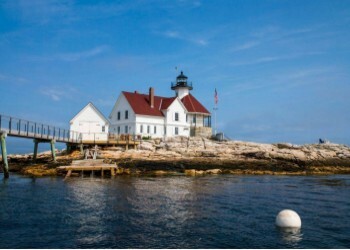 Enjoy your Maine vacation retreat in an historic, renovated Lighthouse. Reserve a suite at this luxury Inn or splurge and reserve the entire Private Island. 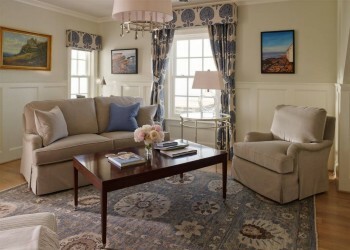 The Cuckolds Lighthouse is a destination for adventure and pampered luxury, perfect for romantic couples and family gatherings. This offshore lighthouse affords active relaxation and authentic experiences perfect for artists and anglers, poets and photographers, nature lovers, mariners, and lighthouse enthusiasts. Escape to your own private island off the Maine coast. 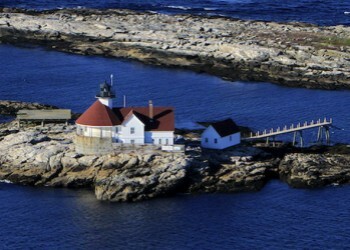 Live in a beautifully restored and rebuilt 1892 Maine Lighthouse. Revel in your private use of the entire island and Keepers� home; nestle by the fireplace in the cozy kitchen. Raid the refrigerator, stocked with treats and delicacies. Enjoy fine dining � beautifully prepared breakfasts, afternoon teas, and gourmet dinners, perhaps an on-island lobster bake or romantic candlelight dinner. 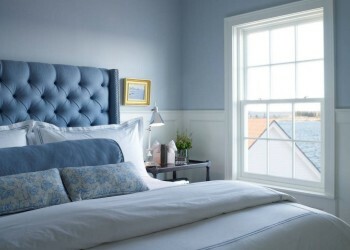 Be pampered by our InnKeepers, who serve as Launch Captains, concierges, and hosts, ensuring guest delight! They will be delighted to host you for a special cruise of the area in the Cuckolds Launch. You don�t have to choose a sunrise or sunset view � you can have both! Ocean waves lull you to sleep! Check website or call for prices, (855) 212-5252.